Below are my research papers, PDFs of a selection of the talks I have given, and my favorite .stl files for printing. Snail links - In progress. Large volume links - With J. Purcell, in progress. Patterns in knot types - With H. Chapman, in progress. Tunnel numbers of all 11 and 12 crossing alternating knots - With F. Castellanomacias*, in preparation. Random straight links - With A. Tsvietkova, in preparation. Stair-step bridge spectra does not imply high distance - This was replaced by the above article. 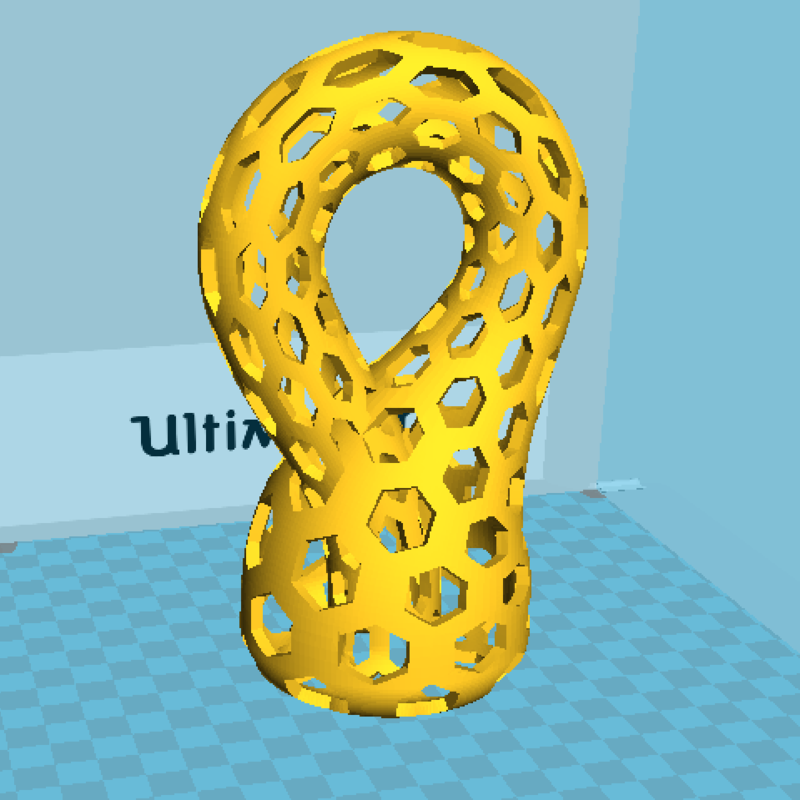 3D printing for Topology given at: Advances in Quantum and Low Dimensional Topology, Spring 2016 - In this PDF is a guide for people who would like to get into 3D modeling and printing. Exploring Visualizations given at: MathFest, Washington D.C., Summer 2015 - In this PDF is information for people who would like to teach a workshop on 3D modeling and printing, based on my own experiences. The files in this section are all of my own design, and almost entirely done in Rhino 3D on a mac. Please visit my shapeways store if you would like to order a model and have it shipped to you. If you have your own 3D printer, you can download the models here and print them yourself, for free! Please let me know if you do, I would love to hear your thoughts. 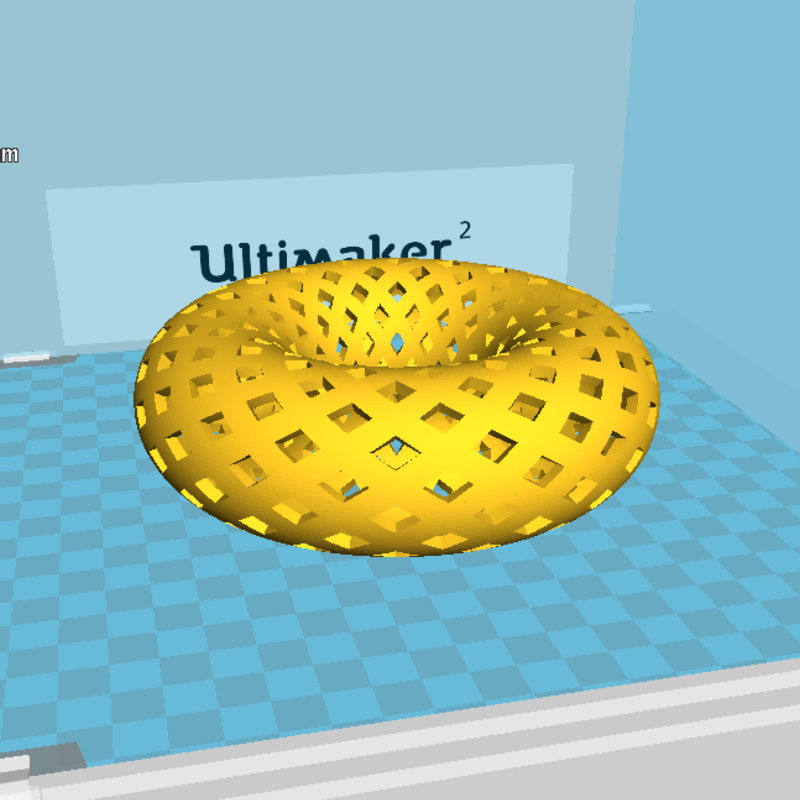 If you don't have an application to view the models, below are links to Cura and Slic3r, both of which you can download for free and open .stl files in. The following link is to OpenJSCAD, where I have written some code to let you visualize the Riemann sum of a function, and you can change the coefficients. There you can also download the stl file for it and print it yourself. It takes a few seconds to load the file. All works under 3D printing files, by Nicholas Owad, are licensed under a Creative Commons Attribution-ShareAlike 4.0 International License. I would love to hear from you. If you have questions about something you found here, or for any reason, please feel free to contact me.